There were a grand a total of four matches on the pre-show, so let’s see how they went. THOUGHTS ON THE MATCH: I personally felt very sorry for both men as WWE insulted them by playing an inset promo for the main event during their bout, which made the match look inconsequential and was very disrespectful. Cruiserweight matches have a hard enough time getting a reaction from live crowds already without idiocy like this. What WWE don’t realise is that perception can often become reality. If you present the Cruiserweight Title bout as an afterthought that can be interrupted by promos for more important matches, then that is ultimately how the audience will perceive it. The match itself was a hard hitting and well worked affair, that saw Nese eventually prevail. It’s just a shame that so little effort was made to make the match or the competitors seem important. 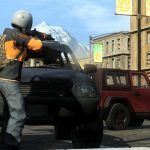 THOUGHTS ON THE MATCH: Just a battle royal. Strowman looked like a beast and won it easily. The Hardy Boyz came out in classic themed gear, which was cool. Andrade Cien Almas was excellent in the match and got to eliminate a bunch of guys, which hopefully is a sign they might actually do something with him. THOUGHTS ON THE MATCH: The first pleasant surprise of the night, as Seth brought home the bacon here after Brock’s advocate Paul Heyman demanded the match happen earlier than originally planned. Brock brutalised Seth for the majority of the short match, only for Seth to catch him with a low blow and three curb stomps to pick up the win. I like how seemingly the only way to hurt Lesnar is to hit him in his groin. The only thing what would make it better would be if he yelled “Oh no, my only weakness!” whenever it happened. This match was under three minutes once the bell rang, although Brock did destroy Seth outside before the official start, but it gave the crowd what they wanted and that’ll do me. 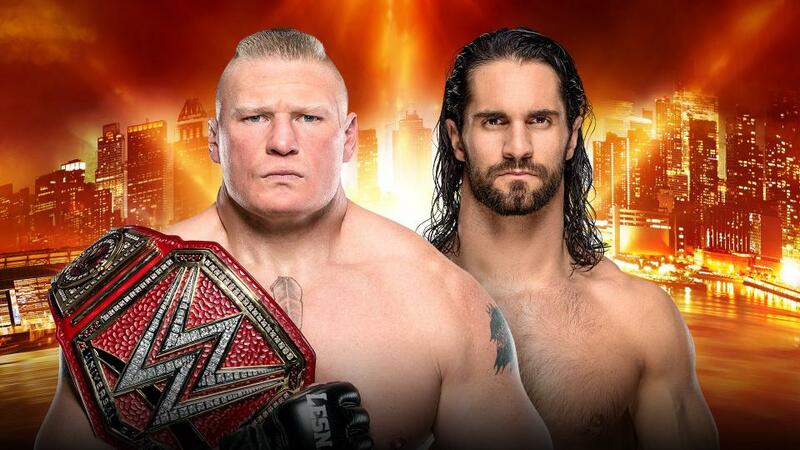 Thankfully the Champion will now be on TV again, so they can actually book proper feuds around the belt rather than just waiting for Brock to show up 2-3 times a year to defend it. THOUGHTS ON THE MATCH: Another pleasant surprise, as AJ managed to kick out of an RKO and eventually win the bout cleanly with his Phenomenal (Urgh, Roberto Martinez really ruined that word for me) Forearm. The match was hardly a show stealing bout, but it was worked very well by both men and I personally enjoyed it. I liked the story of AJ overcoming the RKO and then being one step ahead of Orton to avoid taking it again. It was a straightforward match and story crafted well by two excellent professionals. Thumbs up from me! THOUGHTS ON THE MATCH: This was an exciting and enjoyable bout, with all 8 men getting a chance to shine and Ricochet in particular coming across as a really promising potential big star. 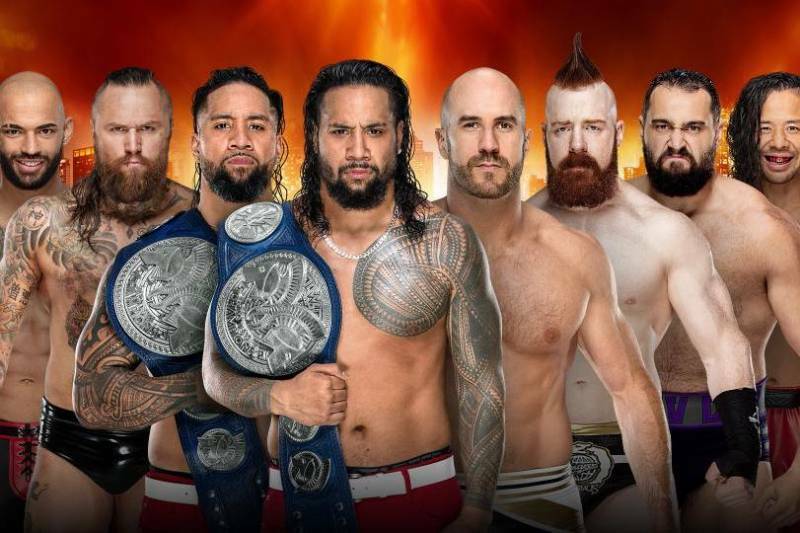 I was personally pulling for Rico-Black to win the belts here, but WWE decided to go with The Uso’s instead. To be honest, I would have been fine with any of the four teams winning as everyone was “on” here and I appreciated the hard work. THOUGHT’S ON THE MATCH: I couldn’t see Miz winning this, and that eventually proved to be correct, but he was protected well in the bout itself. Basically Miz beat Shane all over the arena and suplexed him off some staging through, a thankfully safely padded, area below. Shane’s corpse happened to end up atop of Miz’s though, meaning that he won on an absolute fluke and thus no damage was done to Miz. I’ve seen complaints about the crash pads, but I’m personally fine with it. Everyone was going to think the fall was gimmicked anyway, so you might as well make sure that everyone got out of there safely. This was a wacky Attitude Era styled brawl, which the crowd enjoyed and I thought it was good as a bit of silly fun, so I’ll give it a pass. I just can’t buy Miz as a tough guy however, although his delivery on promo’s is some of the best in the whole company. 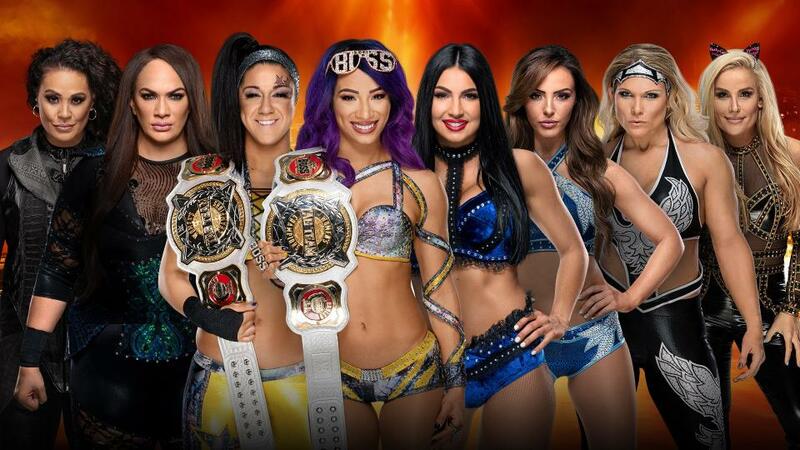 THOUGHTS ON THE MATCH: In my defence, I DID say that the IIconics might win this one, but ultimately thought they’d keep the belts on the Champs due to it being so early in their reign. However, WWE felt differently and put the belt on the Aussie’s, who I can’t deny haven’t worked hard to earn their push. The match itself was sloppy in places and wasn’t especially thrilling, but the result got a big surprise pop from the crowd and both women looked genuinely moved, so I’ll consider it a pass. THOUGHTS ON THE MATCH: This was another pleasant surprise, as WWE decided not to troll the fan base and actually let the good guy win. At this point I was starting to think that someone had locked Vince McMahon in a janitor’s closet or something. Kofi was fantastic as a gutsy babyface whilst Bryan was fantastic as an arrogant and conniving heel. 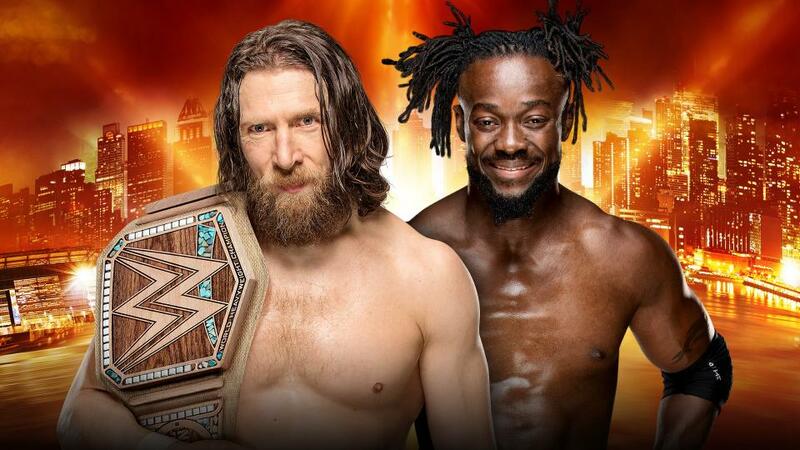 This combined with an invested crowd and excellent work from both men made this one of the better WWE matches of the year, as Kofi defeated Bryan clean as a sheet in the middle of the ring to win the Title. Xavier Woods was clearly highly emotional to see his friend finally succeed, and I must admit that this one got me right in the feels as well. It’s so rare that WWE give us a genuinely happy ending these days, and I was afraid they’d troll us again. Thankfully that didn’t happen! THOUGHTS ON THE MATCH: This one barely lasted a minute, as Joe quickly choked out Rey to win. I believe Rey was carrying a real life injury, which necessitated the quick finish. Personally I was happy it ended so quickly as it meant the show would end a bit sooner and it also made Joe look like a killer. 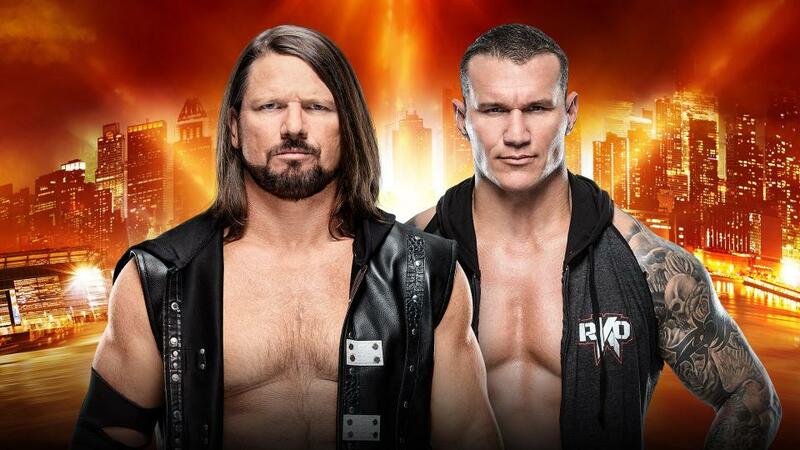 THOUGHTS ON THE MATCH: With Rollins winning earlier in the night I thought they might switch this one up and have Drew win here, so that they would have a readymade challenger for Rollins coming out of this show. 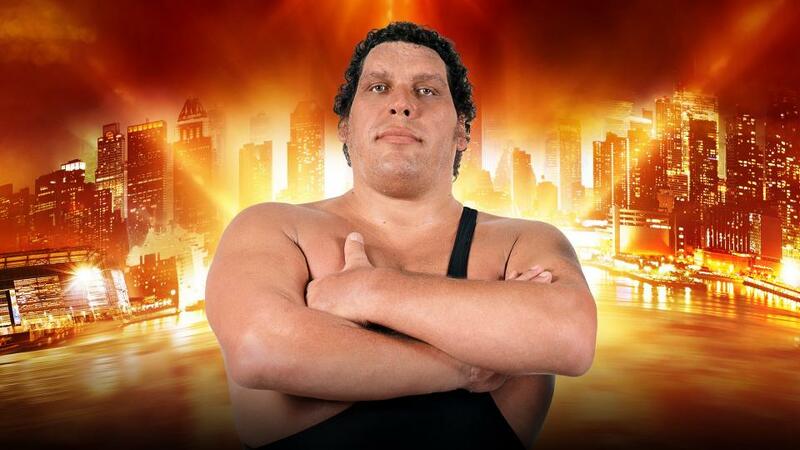 However, WWE decided to go with Reigns instead. 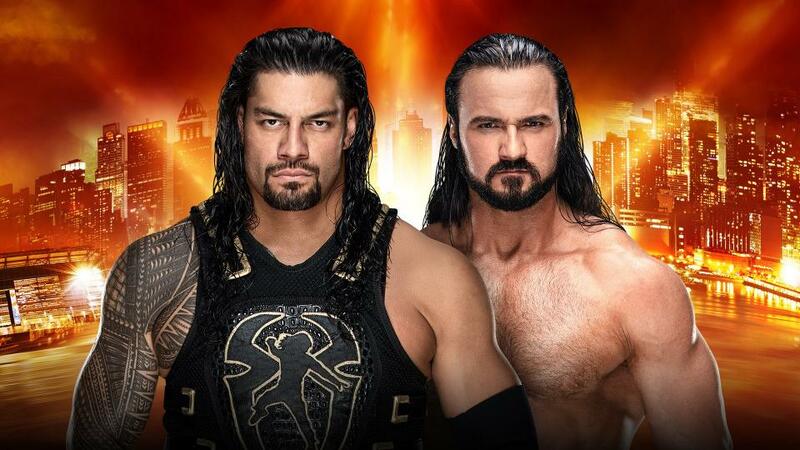 I get not wanting to have Reigns lose in his first big singles match back from cancer, but it probably would have been for the best here and they could have used the excuse that Reigns was still rusty and could always rematch them later in the year if Drew were to take the belt from Rollins. Reigns ended up winning clean with the Spear, and I couldn’t help but think that Drew went down a bit too easy considering how strong he was booked in the build-up. THOUGHTS ON THE MATCH: Part of me thought they’d give Batista another win here and finally retire Triple H from in ring action, but alas it wasn’t to be. I’m a fan of Triple H but he’s finished at the top level as an in ring worker, owing solely to his physical limitations. This match went on for far too long and the action really wasn’t that gripping or exciting either. I will give Batista credit for taking some frankly ridiculous bumps though, especially for a guy of his age with a successful acting career to return to. Sadly this match was never going to be good past the 10 minute mark and we got nearly 15 minutes more than that here. Triple H, this is a personal plea, hang up the boots. You don’t need to do this anymore and you just can’t be the Triple H of old, no matter how hard you try. Please stop throwing away your legacy like this. This isn’t how your fans want to remember you. THOUGHTS ON THE MATCH: I personally thought they’d have Angle win here for a feel good moment, but considering the other results they probably thought they could afford to upset the fans here. Angle got as good a match as a man with his physical limitations could get out of a guy like Corbin, before eating his opponents finish and going out looking at the lights. I’m fine with a wrestler losing his last match, I just wish they’d sacrificed Angle to someone with more of an upside like Chad Gable or Cien Almas, rather than Corbin. If this is the impetus for a Corbin repackage then it might end up being worth it. There’s definitely something there with Corbin, it’s just his current gimmick is really lame and boring. 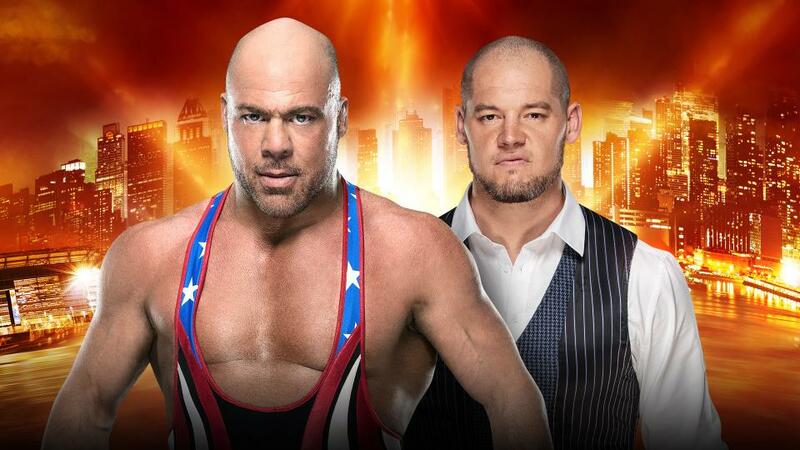 The right gimmick combined with him being the guy who retired Kurt Angle could lead to something positive. THOUGHTS ON THE MATCH: This only went 4 minutes but that still felt too long at this stage in the show. The work was fine though and this should hopefully end this feud once and for all. 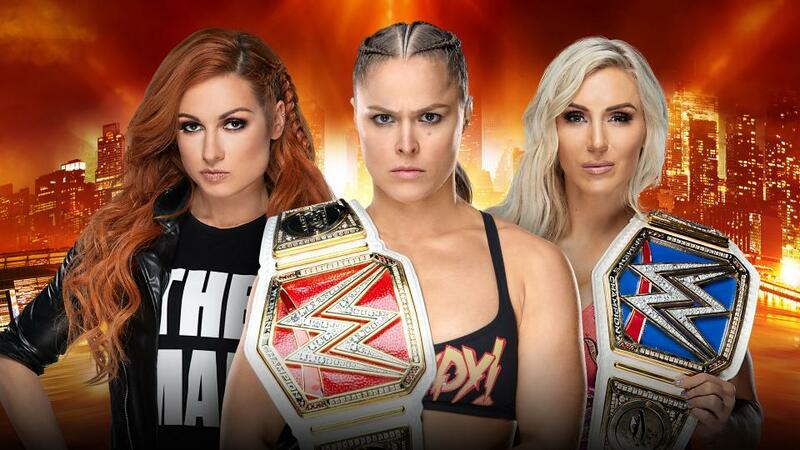 THOUGHTS ON THE MATCH: I completely thought Charlotte would win this, but I was happy to be proven wrong as Becky won and completed the trifecta of babyface wins in the three major title matches. The highlight of the entrances was Charlotte paying tribute to her father Ric with a helicopter entrance, just like he did for a stadium title match with Ricky Morton once. The match itself was a bit sloppy, but it had a lot of energy and the effort from all three of the women was infectious. It reminded me a lot of one of those garbage styled matches from 90’s ECW in some ways actually, and being a fan of that group I could appreciate it. Becky ended up pinning Ronda, but Ronda’s shoulder was up at one point which should lay the table for future rematches. Overall I’d consider this to be a middling Mania overall. 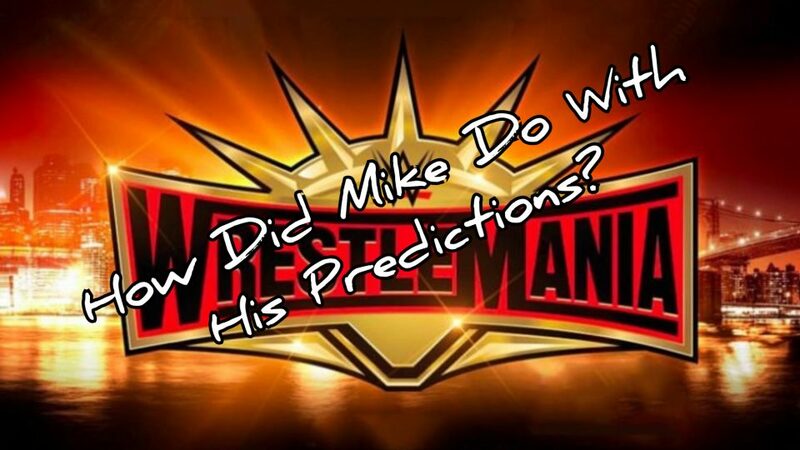 There was little on the show that I would call actively bad, but seven hours is just far too long for a wrestling show, and what happens with these Mania events is that they usually start well but end up feeling flat by the end because it’s just impossible to keep the fans invested for that long. 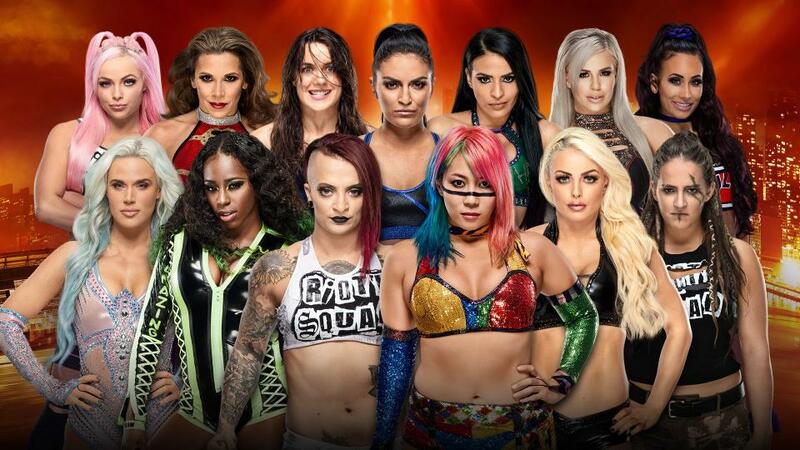 Shave this down to four hours total with just 8-9 matches and it would be a genuine contender for being a top tier Mania event. As it was, this one ends up in the middle. I can’t deny however that it was wonderful to see the babyfaces win so many matches, and as a result I was far more lenient towards the matches I wouldn’t normally like as consequence. Putting people over who the fans want to win actually makes a show better? Who knew? !